Erionite-K: Mineral information, data and localities. Named in 1898 by Arthur Starr Eakle from the Greek εριον meaning wool in allusion to the "wooly" appearance of the type material. Erionite was first found at the Durkee Fire Opal Mine, Swayze Creek, Durkee, Baker Co., Oregon (Tschernich, 1992). In modern nomenclature, the original erionite was erionite-Na, but potassium was nearly equal to sodium. Levinson Rule suffix added in allusion to K dominant excangable cations. 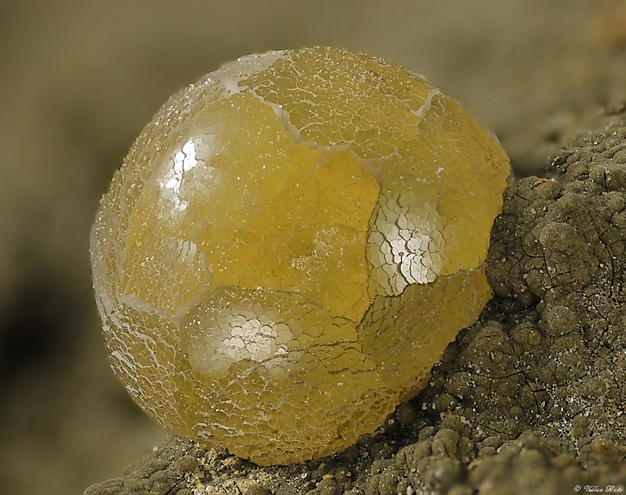 A zeolite difficult to distinguish from offrétite. Clinoptilolite-Ca 3 photos of Erionite-K associated with Clinoptilolite-Ca on mindat.org. Phillipsite-K 3 photos of Erionite-K associated with Phillipsite-K on mindat.org. Offretite 3 photos of Erionite-K associated with Offretite on mindat.org. Montmorillonite 3 photos of Erionite-K associated with Montmorillonite on mindat.org. Paulingite-K 1 photo of Erionite-K associated with Paulingite-K on mindat.org. 9.GD.05 Gmelinite-Ca Ca2(Si8Al4O24] · 11H2O Hex. 9.GD.05 Gmelinite-K K4(Si8Al4O24) · 11H2O Hex. 9.GD.10 Willhendersonite KCa[Al3Si3O12] · 5H2O Tric. 9.GD.15 Lévyne-Na (Na2,Ca,K2)[Al2Si4O12] · 6H2O Trig. 9.GD.20 Bellbergite (K,Ba,Sr)2Sr2Ca2(Ca,Na)4[Al3Si3O12]6 · 30H2O Hex. 9.GD.25 Wenkite (Ba,K)4(Ca,Na)6[(SO4)3|(Si,Al)20O39(OH)2] · 0.5H2O Hex. 9.GD.30 Faujasite-Ca (Ca,Na2,Mg)3.5[Al7Si17O48] · 32H2O Iso. 9.GD.30 Faujasite-Mg (Mg,Na2,Ca)3.5[Al7Si17O48] · 32H2O Iso. 9.GD.30 Faujasite-Na (Na2,Ca,Mg)3.5[Al7Si17O48] · 32H2O Iso. 9.GD.35 Maricopaite Pb7Ca2(Si,Al)48O100 · 32H2O Orth. 9.GD.35 Mordenite (Na2,Ca,K2)4(Al8Si40)O96 · 28H2O Orth. 9.GD.40 Dachiardite-Ca (Ca,Na2,K2)5Al10Si38O96 · 25H2O Mon. 9.GD.40 Dachiardite-Na (Na2,Ca,K2)5Al10Si38O96 · 25H2O Mon. 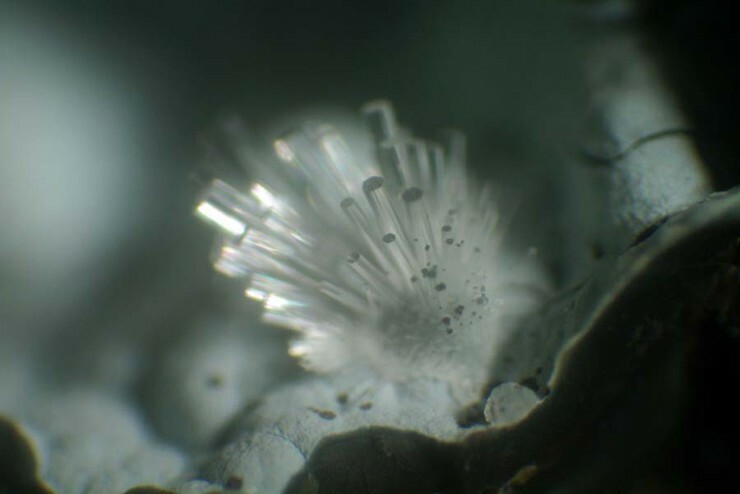 9.GD.45 Epistilbite CaAl2Si6O16 · 5H2O Mon. 9.GD.50 Ferrierite-K (K2,Na2,Mg,Ca)3-5Mg[Al5-7Si27.5-31O72] · 18H2O Orth. 9.GD.50 Ferrierite-Mg (Mg,Na2,K2,Ca)3-5Mg[Al5-7Si27.5-31O72] · 18H2O Orth. Sheppard, R.A. and Gude, A.J. (1969b) Chemical composition and physical properties of the related zeolites offretite and erionite. 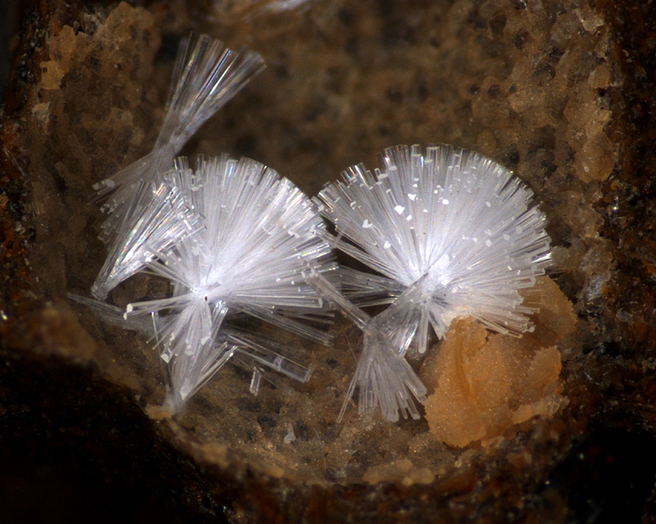 American Mineralogist: 54: 875-886. Gualtieri, A., G. Artioli, E. Passaglia, S. Bigi, A. Viani, and J.C. Hanson (1998): Crystal structure-crystal chemistry relationships in the zeolites erionite and offretite American Mineralogist: 83, 590-606. Passaglia, E., G. Artioli, and A. Gualtieri (1998): Crystal chemistry of the zeolites erionite and offretite American Mineralogist: 83, 577-589.